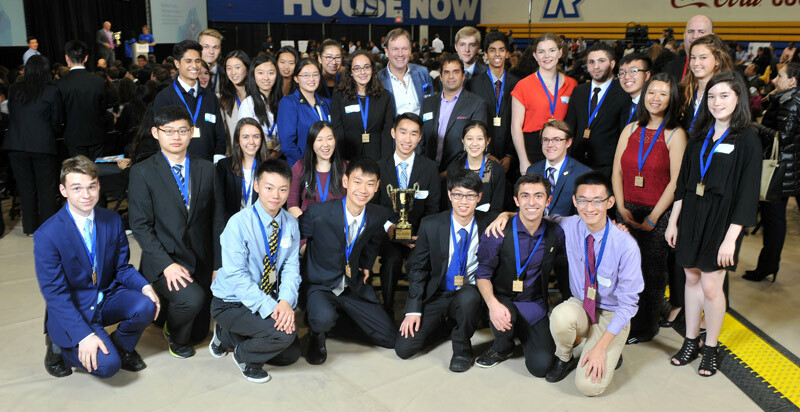 A team of SHAD UNB students took home the Best Business Plan award at the SHAD – John Dobson Entrepreneurship Cup in Toronto, finishing third overall. SHAD UNB developed ZENsense, a network of sensors that analyzes the ripeness and maturity of crops in the field, providing farmers readings and data to monitor their crops more accurately and to reduce food waste. “We’ve seen many SHAD students in the past go on to become leaders in their fields and leaders in Canada and I’m happy to say they have a strong bond to the experience they had here at SHAD UNB,” Ms. Dawe adds. UNB is one of the longest running SHAD university host campuses in Canada, dating back to 1985. Applications for the summer 2017 SHAD program are currently available until Nov. 28. SHAD is a registered Canadian charity that empowers exceptional high school students – at a pivotal point in their education – to recognize their own capabilities and envision their extraordinary potential as tomorrow’s leaders and change makers. Each year, SHAD provides the opportunity for 700+ students from across Canada and internationally to attend a month-long summer program, in-residence at one of our Canadian host universities, focused on STEAM (science, technology, engineering, arts & math).